It began with a lot of head-scratching. 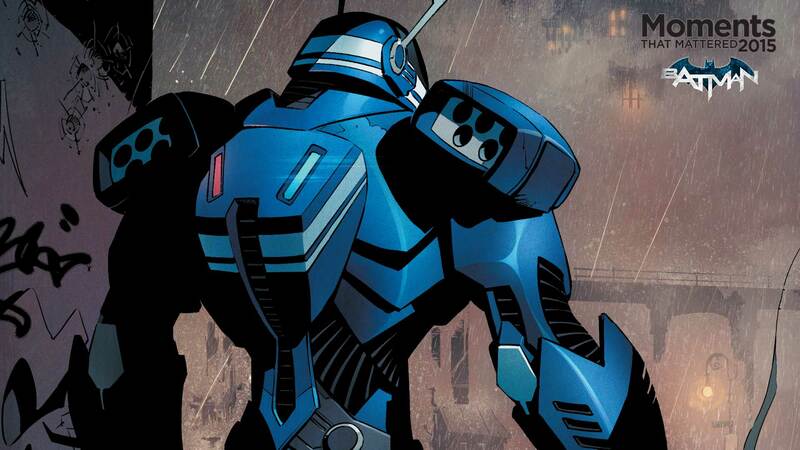 As Scott Snyder and Greg Capullo’s Joker epic “Endgame” wound down, DC released an image of Batman’s new robotic suit. With no explanation given, conjecture and disbelief ran wild. Why would Batman need an enhanced suit? What’s with the missile launchers? And were those bunny ears extending from the helmet? Comic creators shake things up all of the time, and this is hardly the first time Bruce Wayne’s been replaced behind the cowl. But this particular variation on that theme has yielded all kinds of fascinating results within Batman’s world. From Alfred revealing his complex feelings towards Bruce’s role as Batman, to the former Commissioner Gordon learning what it’s like being on the other side of the mask, to the lack of a formal Robin giving rise to an underground youth movement of Robins. It’s given us a glimpse into why Gotham needs a Batman and why that Batman needs to be independent and completely free of outside influence or control. And perhaps most importantly, it’s addressed the question of whether Bruce Wayne and Batman could ever exist separately from one another. It’s done all this while introducing us to one of the creepiest new Batman villains in quite some time, unlocking new depths of creativity and purpose within Snyder’s writing and Capullo’s art, and even throwing in a poignant flashback issue that tackled the real-life problem of police brutality. In short, it’s made a now 76-year-old character feel like a breath of fresh air. Be sure to check DCComics.com again tomorrow for another moment that mattered in 2015.